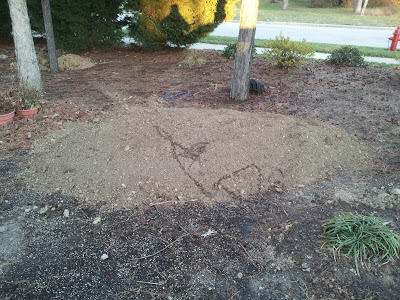 I planted 53 "Creeping Thyme" plants this morning using my heat pad and Jiffy 7 peat pellets. I suppose technically I planted 150-200 ... the seeds are so tiny. 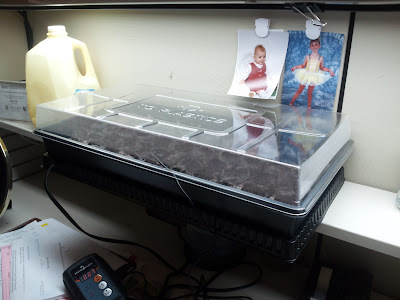 Germination rate according to the package is 78% so we'll see. 14-21 days for germination, so I should have some plants in a couple weeks! This is on my desk at work under a pair of fairly standard flourescent lights. Suitable for seed starting at least. Worked great last year for my peppers! This is, by the way, one case where I chose to buy 1/8th of an ounce of seeds instead of one packet. A packet included about 200 seeds, while an eight of an ounce included around 18,000 seeds. I probably used 200 seeds to plant these 53 pellets because the seeds are so tiny. Hard to drop just one or two at a time. This way, I'll have plenty of seeds left if I don't get enough germination, and plenty of seeds that I can share with others who might want some thyme. Zoning in - your USDA Hardiness Zone may have changed! The United States National Arboretum has updated its USDA Plant Hardiness Zone Map for 2012. This is the first official update since 1990, and more than 80 million potential gardeners have moved a half-zone warmer. Although the map doesn't let you zoom very far in when you click on the state, and the color variations are a bit hard on my eyes, it appears that Wake County (where I live, home to the state capitol of Raleigh) is still in Zone 7b, but most of eastern north carolina has moved into Zone 8a - including the county just east of Wake County (Johnston County), and the one just south of Wake County (Harnett County). I live maybe 15 miles from Harnett County. So, your zone may have changed. Don't let this fool you into thinking you can plant any earlier. If you looked up your average last frost date last year, it's not gonna be any different. Do NOT use USDA Zones to determine last frost date. I know, some of you are saying "Who would do that?" Well, I give you about.com. The USDA Hardiness Zone Maps only predict low temperatures. Some of us think "Wow you're in Zone 9, that must be hot!". Nope. It's not hot in North Bend, Oregon (Zone 9a). Well, I mean it's certainly nice there, maybe a little rainy. My point is, that the Hardiness Zone Maps don't predict weather, climate, or heat. They ONLY predict cold so you know what to plant and what not to plant. Zone 7b has a minimum temperature of 5-10 degrees. The web site is a bit misleading as it refers to the "average annual minimum winter temperature". Don't confuse this with the "average low", which for January in Raleigh is around 30 degrees. I don't actually know how they come up with 5-10. I've lived here since 1998 and I haven't seen it get below 10 even once. It's only been below 15 a couple of times. But the State Climatology Office informed me yesterday that the all time record low recorded at RDU International Airport was -9 degrees back in 1985. So here's the deal. 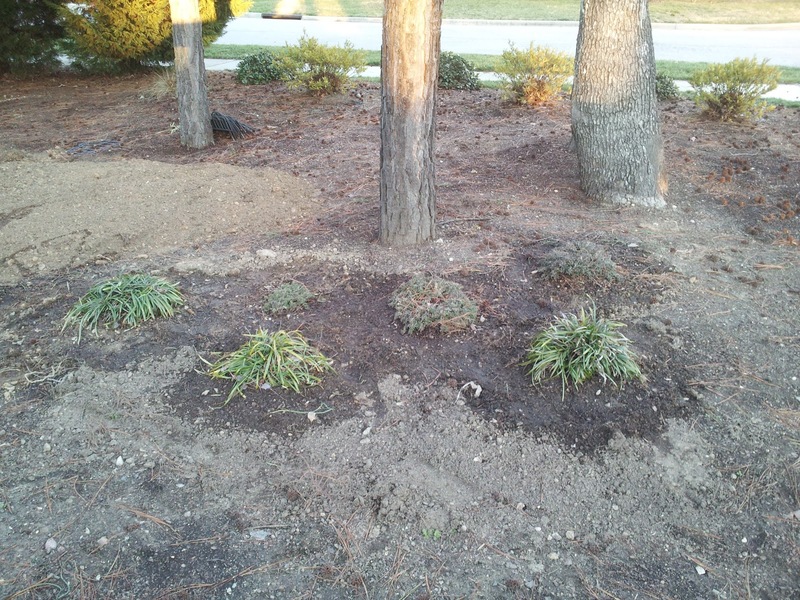 If something is hardy to Zone 7 (not specifically Zone 7b), it should be able to handle 0 degrees but it might not be able to handle -9 degrees, and the plant could thereby die and NOT come back - or be heavily damaged by the freeze. The zone maps are not a guarantee. You can plant Zone 8 plants in Zone 7 if you want and they might survive a "normal" cold winter, but they probably won't survive an extreme cold winter like that. You are just taking a bit of a risk. On a side note, some plants can't survive the low temps, but some plants NEED them too. The Blue Spruce, commonly referred to as the christmas tree in my home state of Michigan, is hardy only to Zone 8b. Frosts are rare in zone 9 I guess and these trees need a little freeze in the winter (they're also not very tolerant of it being 100 degrees). Here in Raleigh, North Carolina, there are a variety of things we can plant in the cold winter that don't mind the frosts and freezes of Zone 7b this time of year. Some of them can be planted in January, like peas and onions. In February, we can plant quite a few more things, including spinach, lettuce, cabbage, carrots, radishes, rutabagas, turnips, and potatoes. It's only January 16th, but I want to get some things started a little early. 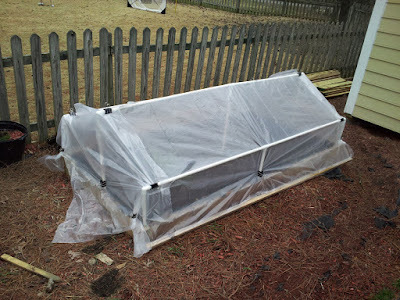 So, I built myself a "Cold Frame" of sorts. Basically, I spent about $15 at home depot to buy five 10' lengths of 1/2" Schedule 40 PVC pipe, along with six 90 degree elbow joints, 3 T joints, and a 9'x12' 2 mil plastic drop cloth from the paint section. 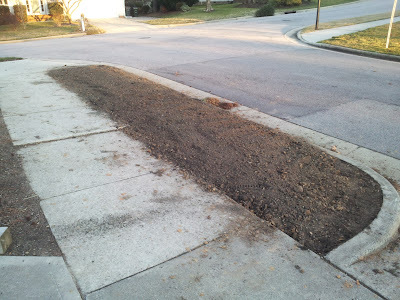 I'm not going to go into detail here, but here is a picture of the finished project. 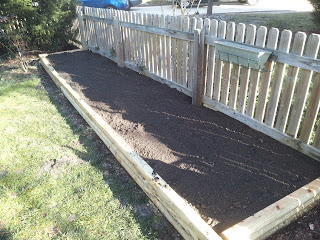 I divided the bed into 4 quadrants and planted bunching green onions, sweet spanish yellow onions, romaine lettuce, and spinach. Of course, prior to planting I prepped the bed by weeding it, dumping in a load of compost from my compost tumbler, and turning it all as well as I could. And, leftover from last year, there is some very healthy "Garlic Chives" that don't seem to mind the cold at all. 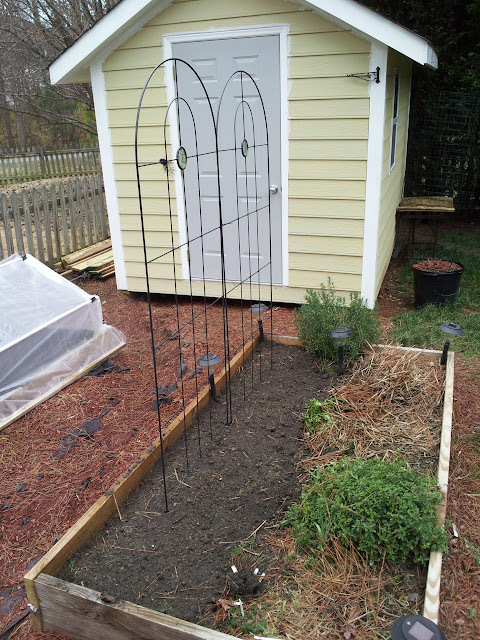 I also decided to plant some sweet peas in a neighboring bed. Sweet Peas don't need protection so these are planted out in the open. Still happy in this bed is (from top to bottom), Rosemary, cilantro, and oregano. The cilantro actually came back as it did not enjoy the summer heat at all. I knew the Rosemary would survive as it's very hardy and is sometimes used for landscaping around here. I thought the oregano would die like the basil upon first frost, but it seems to be doing quite nicely.